Its 24th June and monsoon this time has been not upto the mark. 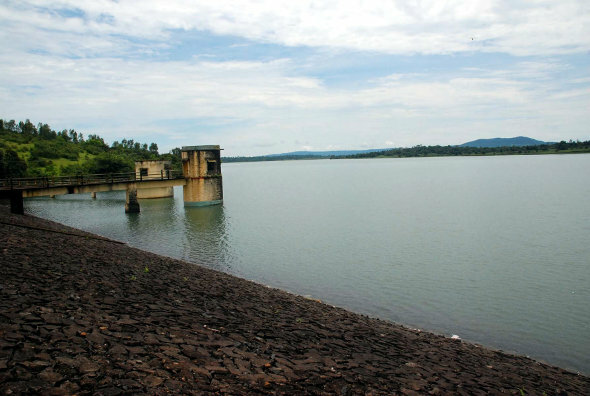 Infact very little rainfall has occurred in the catchment areas of Rakskop and Hidkal dam due to which a severe water crisis is unfolding in Belgaum. For the past 3 days there has been no rain not even scanty. Rakaskop has reached its dead storage capacity currently. Belgaum needs about 12 MGD of water but currently only 4 to 5 MGD is being supplied. Rainfall in Rakaskop area has been deficient by 200 mm when compared to previous year. The DC has said that if needed tankers would be used to supply water in the city and also added that water from Hidkal will also be utilised. The farmers are also very worried on the delay of the monsoons. The met department has forecasted for isolated showers in the next couple of days which is again not encouraging. Currently we are in the range of Scanty rainfall for June with rainfall being deficient by 60 to 99%.